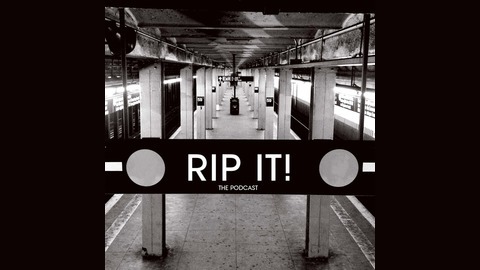 RIP IT! 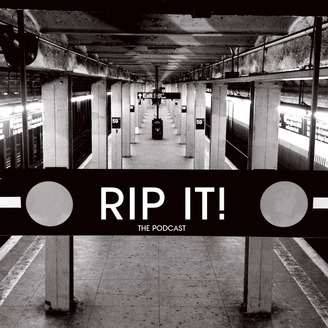 PODCAST - RIP IT! Rip It! The podcast with hosts Seth Keal and Doug Parsons! Everyone is the protagonist of their own story, yet unless you’re lucky enough to be listening, too many of these stories don’t live beyond the ears of best buddies and bar locals. Equal parts storytelling and bullshitting with friends, Rip It Radio pumps these stories directly into your earholes, exposing you to hilarity, sadness, and most of all, humanity that would otherwise remain hidden and die off within a generation. True to reality, these are not tales of sweeping social change or globe spanning adventures. From carpenters to costume designers, teachers to drunks; Rip It Radio gives a brief, yet always entertaining glimpse into the lives of the everyday people who you brush by on the way to creating your own stories. It's the most wonderful time of the year! A time when parents collectively lie to their children about the existence of a grown man who spies on them year round and breaks into their houses. A time when eco-consciousness is thrown out the window as millions of trees are slaughtered for the sole purpose to stand guard over presents wrapped in the skin of their fallen brethren. A time when children will cry because they were not given a pony. It's Christmas time! Hosts Seth and Doug honor this magical time with cherished yuletide memories from their youth. You will be amazed to hear the lengths that Seth's parents went through to win over the love of him and his brother. You will be equally amazed to hear the fury incited in Doug's parents brought on by decorating the tree. From Baltimore accents to renting movies at the grocery store, Seth and Doug cover all the holiday essentials. What was the worst gift Doug ever gave his father? Find out on this non-denominational episode of Rip It!